Ibuleve offers fast and effective pain relief that's applied directly through the skin to target painful, inflamed areas. 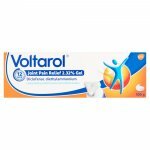 And a clinical trial has shown that Ibuleve Gel can work as quickly and effectively as 400mg ibuprofen tablets for treating painful injuries such as back pain, sprains and strains. Ibuleve is easily applied and absorbed directly where you need it. 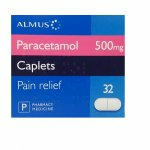 Because the pain relief is targeted in this way, there is less risk of the side effects that can be associated with taking painkilling tablets. 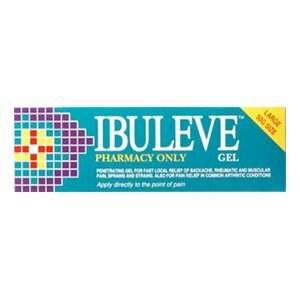 Ibuleve has been specially formulated by UK experts in skin penetrating medicines, to make sure that the active ingredient (ibuprofen) penetrates through the skin and into underlying tissues. This is important because the skin normally behaves as a very effective barrier, preventing access by this route of administration. The entire Ibuleve range is specially designed to be fragrance-free, colourless, non-greasy and cooling, so there are none of the characteristic smells or irritating skin sensations associated with some topical painkillers. Read and retain the enclosed patient information leaflet. 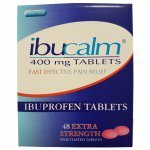 Lightly apply 2 to 5cm of gel (50 to 125mg ibuprofen) over the affected area. Massage gently until completely absorbed. Repeat as required up to three times daily, or as instructed by a doctor. 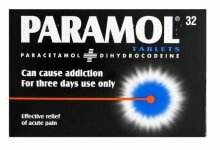 Do not use if you are allergic to any of the ingredients or have experienced problems with aspirin, ibuprofen or similar pain killers (including those taken by mouth). Seek medical advice before use if you have asthma, an active peptic ulcer or kidney problems. Do not use if pregnant or breast feeding. Rated 9.8 out of 10 based on 32242 reviews. See all reviews here.